NEW YORK — A woman who miraculously survived the attacks the World Trade Center on September 11, 2001 was able to share her story in court last week, and also explain why she feels compelled to reach mothers outside of an abortion facility in Queens. 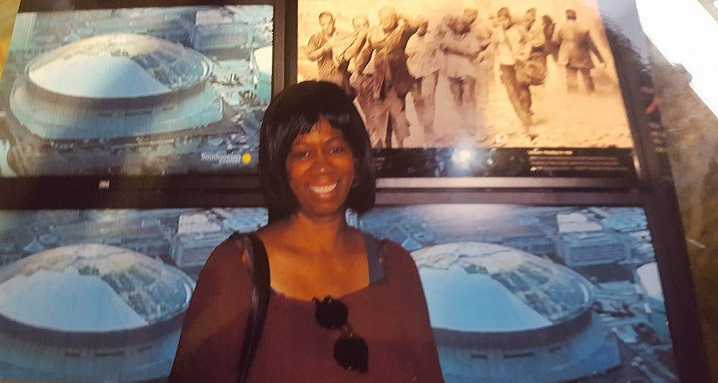 Angela Braxton was working on the 80th floor of One World Trade Center when the attacks took place. By the grace of God, she was able to make her way down the stairs, choking on the smoke as she went, to the underground mall beneath the complex. When Braxton arrived at the mall, she felt a rumbling and was tossed by a force that she describes as being like “a tornado” from the impact of Two World Trade Center collapsing. Terrified, Braxton began “screeching for God not to let me die,” she told the court. 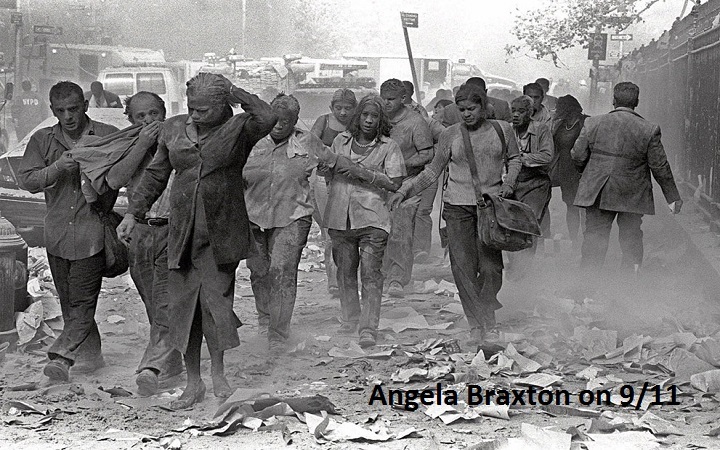 Braxton was captured on camera as she and others successfully made it outside, covered head to toe in debris dust. Click here to see the photograph, which is now displayed at the Smithsonian National Museum of African American History and Culture. Following the traumatic experience, Braxton, who experiences health issues from the terror attack, turned to Christ. She later became active in sharing the gospel on the streets, and in the midst of her evangelistic involvement, felt compelled to spend her Saturday mornings reaching out to women who are contemplating abortion. Braxton, who herself has suffered several miscarriages, told the court that her work is out of personal experience in suffering the loss of a child, as well as a natural desire to share the gospel with her neighbor. “I believe [it’s] because of what I went through as far as wanting so many children. … It’s the worst thing. It’s never healed. You always long for them. And I wanted other people to know that,” Braxton testified. As previously reported, Braxton is more than a dozen pro-lifers who were sued last June by New York Attorney General Eric Schneiderman for urging women outside of Choices Women’s Medical Center in Jamaica not to kill their babies. Schneiderman, an abortion advocate, has accused Braxton and the others of harassment, and wants the court to order the creation of a buffer zone around the building. Last month, U.S. District Judge Carol Bagley Amon seemed to question Schneiderman’s assertions during oral argument as she said that his use of the word “harassment” was vague. Her remarks drew laughter in the court. According to Courthouse News, during the hearing, Judge Amon presented a number of scenarios to try to ascertain what Schneiderman’s office considers “harassment.” She asked if someone followed a woman and said repeatedly but politely, “You should consider keeping your baby,” if that would be considered harassment. What if the person remained several feet away? What if someone followed a person to repeatedly tell them that they liked their haircut? Is that harassment? Attorneys with the Thomas Moore Law Center (TMLC) have asked Amon to dismiss the case. A decision has not yet been made on the motion. “Angela Braxton is a prayerful, peaceful, sidewalk counselor who compassionately speaks to women as they approach the abortion clinic. After years of investigation, the attorney general’s lawsuit against Angela Braxton could not name a single person who was ever harassed. This is because it simply did not happen,” said Jay Combs, an attorney with TMLC. “Rather than fulfill his duty as attorney general to protect the First Amendment rights of Angela Braxton, the attorney general, in his press conference, lamented what he called ‘a sense of entitlement by protestors to run their mouth.’ This chilling statement shows that the New York Attorney General is so blinded by his desire to see abortions performed that he has forgotten that the ‘entitlement’ to speak on behalf of the lives of unborn children is a constitutional right protected by the First Amendment,” the organization also said in a statement.